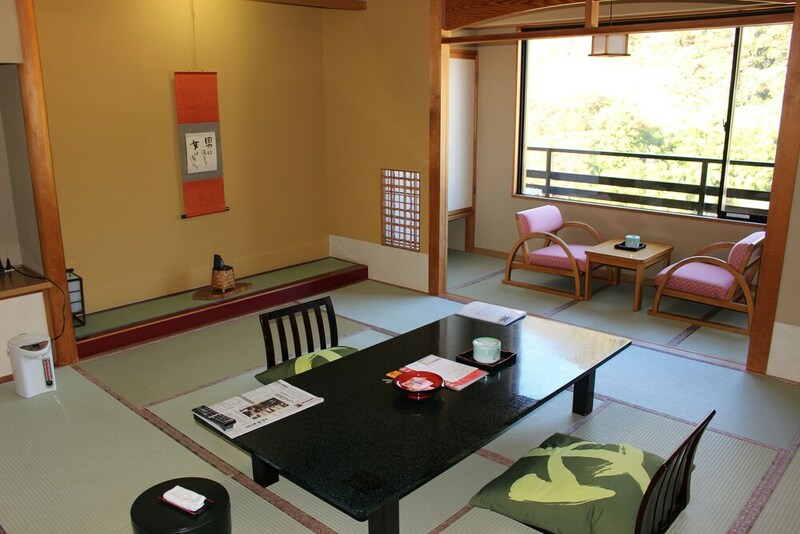 Situated in Fukushima, this ryokan is within a 15-minute walk of Horikiri House and Iizaka Onsen. Nakano Fudoson is 2.6 mi (4.2 km) away. A bar/lounge, a meeting room, and a front-desk safe are available at this ryokan. Free WiFi in public areas and free self parking are also provided. Other amenities include a vending machine. All 28 rooms offer free WiFi, flat-screen TVs, and hair dryers. Guests will also find safes and free toiletries. MATSURIYA YUZAEMON features hot springs. Public areas are equipped with complimentary wireless Internet access. A bar/lounge is on site where guests can unwind with a drink. This hot springs ryokan also offers a vending machine and a safe deposit box at the front desk. Complimentary self parking is available on site. Guests booked in Half Board rates must check-in by 7PM to receive dinner. No refunds will be issued for any unused portion of the rate plan. For more details, please contact the property using the information on the reservation confirmation received after booking.